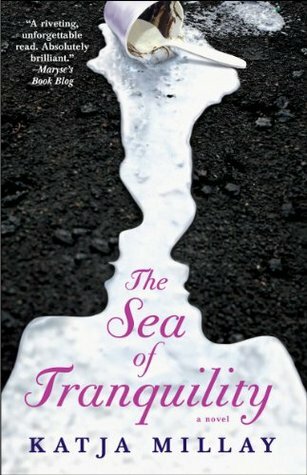 So, this week's book is Sea of Tranquility by Katja Millay. I'm not gonna lie, the main reason requested this book from Net Galley was because I've seen a lot of bloggers that I know and respect - like Aylee @ Recovering Potter Addict - enjoying this book. The story goes like this: Nastya used to be a piano child prodigy until something happened and she wasn't anymore; so after a couple of years of being home schooled she has moved in with an aunt, and now has two missions in life: survive her last year of high school and take revenge on the people who destroyed her life. Josh, hasn't had it easy with life, the people he loved are gone and now all he wants is to be left alone and the kids in his high school usually let him be, except for the new girl Nastya. But how does Josh fit into her plans exactly? Well, that's pretty easy to figure out so I'm no telling. What I am going to say is that this book was SOOOO depressing. It wasn't fun to read at all, and the start was kind of slow. I have a hard time connecting with characters who are gloom and doom all the time and Josh and Nastya were. They had their reasons and they were good reasons but yeah, I knew I should feel bad for them and at an intellectual level I did, but there was no emotional connection. And everything was so sad and draining that I was glad I wasn't feeling it. Sea of Tranquility is hard to read and if you're looking for something fluffy and fun, this isn't the one for you. If you like "issue books" then, go ahead, this one will be awesome for you, because it is beautifully written and the style alone got me to finish a book I would put down by chapter 3 otherwise. Not rating this week because this was so not for me.